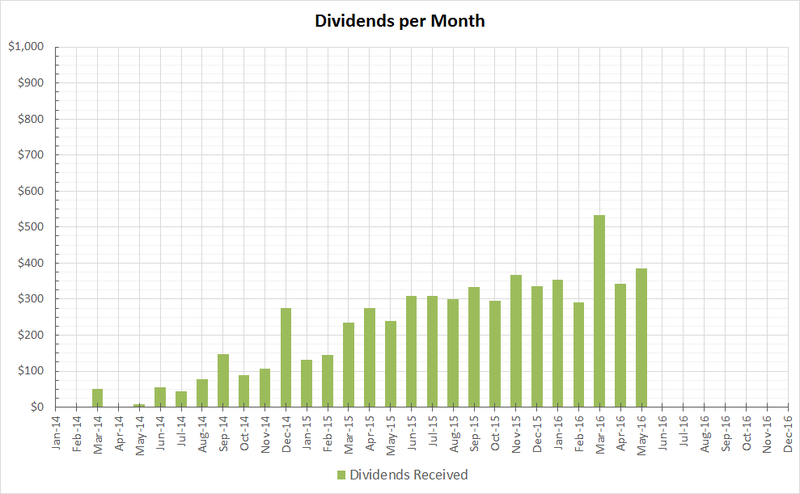 You've got some great dividend growth here. It may not seem like a whole lot now but you're showing a dividend snowball trend. Keep it up! That's a pretty healthy sum for the month of May. Congrats to you. While good values may be hard to find it's still important to remain consistent with your buys and not fall into the trap of trying to time the market for the "best" possible time to invest. Thanks for sharing. Thanks for the comments guys. I will try to stop "timing" and just dollar cost average.